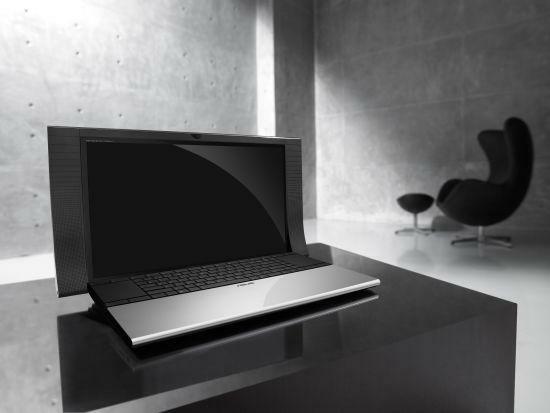 Looks like Asus is moving from low end laptops and netbooks to high end expensive designs and configurations. 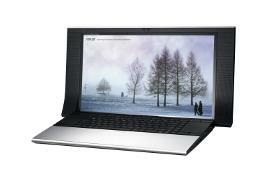 Asus launched the NX90 netbook which demands some big bucks to possess it. It has an audio which was designed by audio experts and comes packed under the hood. It was designed by designer David Lewis. The NX90 has a 18.4 inch high definition screen with two large speakers which Asus says are three to four times better than your average speakers. It also has two large touchpad areas on either side of the keyboard which also offer zooming and scrolling. Under the hood the Intel Core i7 processors pack a punch along with the 6GB DDR3 RAM. NX90 offers storage space of up to 1.2 terabytes and comes with USB 3.0. The NX90 is on sale and costs $5,300. Previous World’s Largest 3D TV! Next French Government Subsidises Music Downloads for Young!